Calling all technical writers! We are offering $50 per tutorial written. These tutorials will be featured in the community section of our website and we will credit the author who produced the content. There is no limit to the amount of articles that you can write. Articles can be written on a variety of topics. 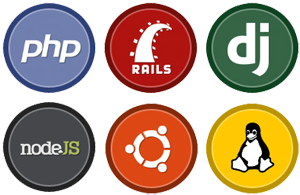 All articles should relate to installing or configuring open source software and applications on the following Linux distributions: Ubuntu, CentOS, Debian, Fedora, and Arch Linux. Our goal at DigitalOcean is to build up a large, comprehensive, and beautifully written collection of tutorials. In order to do this efficiently, we are going to be creating a list of DigitalOcean Community Writers, whose tutorials, once submitted to our mods, will be paid for very quickly and published within the week of being submitted. We are hoping that these articles will not only be accurate and informative, but will also be incredibly well-written. If you are interested in becoming an official DigitalOcean Community Writer, please submit a sample article and the topics that you enjoy/would want to write about to etel@digitalocean.com for review (feel free to CC barry@digitalocean.com). Please include the subject line, Sample DO Article, for your first email. If the sample article matches our DigitalOcean community standards, you will be invited to submit technical articles, which will then be published and paid for very quickly after your submission. As they are usually very short, please do not submit control panel tutorials as the sample articles. The sample article can be an original piece (which can then be published in the community) or an older writer sample that matches DO guidelines. We pride our community on having very well written articles. If possible, please try to ensure that the article matches the tone and flow of the community pieces. -Host any images in the tutorial on imgur. -Read and follow the flow and format of our current articles and tutorials. -Compose articles so that they can be understood by any smart user (even one without direct background knowledge of the subject). Additionally, please thoroughly proofread your sample article thoroughly before sending it. DigitalOcean reserves the right to edit the works before they get published. Educating our developer community is very important to us as we want to continuously produce valuable content and easy to follow tutorials. This content initiative will assist us in accomplishing this objective.